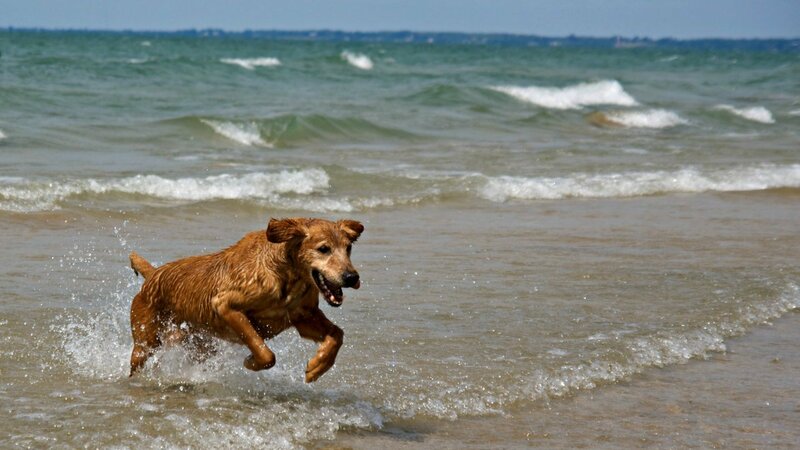 Ontario Parks, one of Canada’s largest provincial park systems, is brimming with fun outdoor recreational opportunities and adventures for both you and your four-legged friends. The parks, thanks to their significant natural and cultural features, are regulated under the Provincial Parks and Conservation Reserves Act. However, because they are an important resource for human recreation, the parks are subject to restrictions when it comes to pets. As a general rule, pets need to be on a leash no longer than 2 meters (approx. 6.5 feet) in length, even in areas where pets are allowed, and they are not permitted in most swimming areas or beaches. Where are the best places for dogs in Ontario? 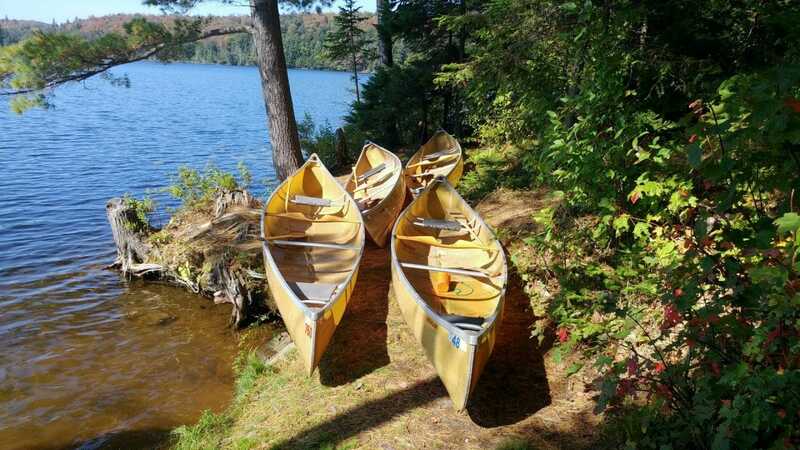 Whether you are looking for fun summer interpretive programs, backcountry skiing, or canoeing on the Georgian Bay, you can find it at Awenda Provincial Park. The destination also includes an area along the Georgian Bay shoreline that is designated as a pet beach, where dogs are allowed to play as long as they are kept on a leash. This provincial park, located approximately 1 ½ hours north of Napanee, is well-known for the 100-meter high Mazinaw Rock, which rises out of Mazinaw Lake and exhibits more than 260 indigenous pictographs. Travelers can take interpretive boat tours across the lake and over to the rock. The park also includes a 1.4-kilometer off-leash exercise trail for dogs, along with a pet-friendly beach located on lower Mazinaw Lake. Not only does Charleston Lake provide hiking trails that include a viewing point from the highest peak in the county, but it also is a popular destination for wildlife viewing, boating, fishing and swimming. The park is on a rocky lake and features a forest landscape that’s a southern extension of the Canadian Shield. The park includes a designated pet beach located beside the Shady Ridge Beach. Toronto’s Cherry Beach at Clarke Beach Park sits at the foot of Cherry Street on the Outer Harbour’s north shore. The park has seven bike trails, two picnic areas, and an off-leash dog area on the western boundary of the beach. Located on Lake Ontario, Fifty Point is an expansive 80-hectare park perfect for swimming, birding, boating, picnicking, and fishing. Visitors can enjoy lakefront views from the promenade or in shaded areas. Fifty Point has a dog-friendly beach where pets can swim off-leash. Once they are out of the water, however, they are required to be on a leash. A provincial park situated between Timmins and Chapleau, this site has hiking trails through ancient glacial landscapes, along with a soft sandy beach. The shallow water and nearby playground are especially appealing to families with young children. The park also has a pet beach area for swimming and exercise beside the fish-cleaning hut. Kettle Lakes Provincial Park features a number of attractions: late-summer blueberry-picking in the Jack Pine Boreal Forest; 22 spring-fed kettle lakes formed by glaciers; family friendly interpretive programs; and 14 kilometers of enticing biking trails. Four-legged visitors can enjoy a designated pet exercise area at Green Lake, which includes a spot where dogs can swim in the lake. 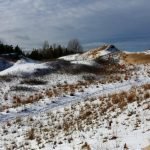 If you are looking for an Ontario park with an off-leash dog beach, this is one of the places to go. Killbear park has a dog beach near the Group Camping area where your pet can roam and play freely. This destination is also popular for its 6-kilometer recreational hiking and biking trail, prime sailing and windsurfing conditions, and combination of rocky shoreline and sand beaches. Long Point, located on the northwest shore of Lake Erie, is the fourth oldest provincial park in Ontario and features one of the most expansive bird and waterfowl migration and staging areas within North America. The park includes an off-leash dog beach and exercise area in the New Park section. When your dog is in other areas in the park, however, it must remain on its leash. This park, situated on Eagle Lake, is a great gathering place for friends and families—including four-legged pals. Mikisew has three shallow sandy beaches and areas where you can play volleyball, basketball, disc golf, and horseshoes. Near the day-use area you will find a pet exercise area that includes an agility course and swimming area. 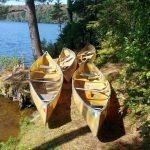 Situated on the Boyne River, this park is close by to both Parry Sound and Georgian Bay and offers breathtaking views of the Oastler Lake from waterfront campsites. You can enjoy canoeing and fishing for pike, bass and trout. The park also includes a grassy pet exercise area with a sandy beach where dogs may swim off-leash. 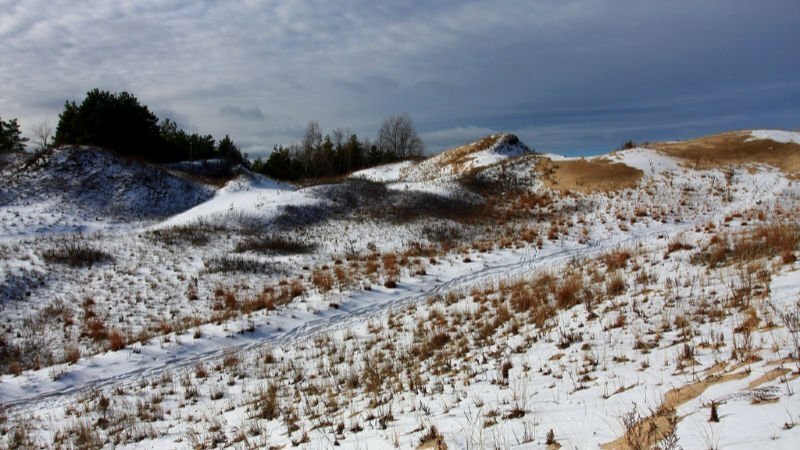 With sunsets that National Geographic ranked among the “Top 10 Best in the World,” this beautiful destination offers 10 kilometers of sandy beach on the shores of Lake Huron, along with 10 walking trails, a bike trail, and groomed ski trails. There is a dog beach located off the day-use road, at Picinic Area 1, but dogs must be on a leash, even at the beach. Port Burwell is situated on the northern shore of Lake Erie and considered a birder’s paradise. It is family friendly, with large, level sites and a play area for kids. The park also boasts a dog beach and pet exercise area east of day-use parking lot No. 1, although pets have to stay on leash while playing. 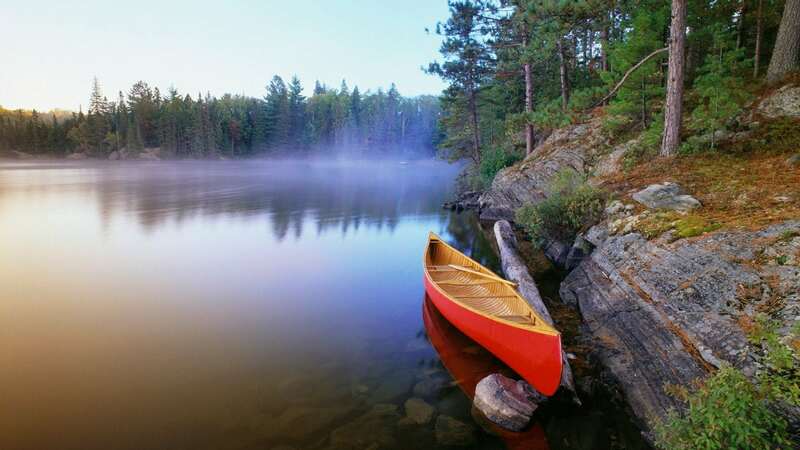 Located in Atikokan, the Canoening Capital of Canada, Quetico resides in an area renowned for its rugged wilderness, including more than 2,000 lakes, as well as sparkling waterfalls, majestic rock cliffs, and virgin pine and spruce forests. Quetico also features both a dog exercise area, dog beach, and off-leash trail located at Pickerel Point in the Dawson Trail Campground. Mountain biking, hiking and paddling abound at Restoule, a park nestled between Stormy Lake and Restoule Lake. The pet exercise area is located at the Bell’s Point Boat Launch and includes a small beach area where dogs can swim in Restoule Lake’s refreshing waters. Within the Ontario provincial park system, Rock Point is located closest to Niagara Falls and has three beaches. One of the beaches includes a limestone shelf embedded with the exposed fossils of an ancient coral reef. There also is a pet-friendly beach. Although there is not a designated pet exercise area, dogs are permitted in the day-use area on the far west end of the beach. While at Rondeau park, you can enjoy plenty of sandy beaches on Lake Erie and an extensive coastal wetland with old-growth Carolinian forest, in addition to rollerblading, biking, fishing, and hiking. 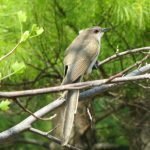 The park is also a world-renowned bird-watching destination. You can take your dogs to the designated beach area off Beach Access 11, but dogs must stay on their leash. Sandbanks Provincial Park has superb trails, an array of interesting flora and fauna, and not one but two pet-friendly areas on the beach. The first is located at Outlet Beach (where the Outlet River flows into Lake Ontario) and the second at Sandbanks Beach. Although these areas are open to dogs, you must keep them on a leash at all times. At Sibbald Point, located about an hour northeast of Toronto, you will find a large sandy beach on Lake Simcoe, a forested hiking trail, and a boat launch. The park also features two beach areas where you are permitted to take your pet. Easily accessible from Cambridge, Burlington, Hamilton and Guelph, Valens Lake Conservation Area is home a man-made reservoir and an ideal spot for a day trip or week-long visit. While dogs are not allowed at the main beach—which is reserved for human visitors—they can swim at the pet beach, located next to a play structure. At this provincial park, you get the longest freshwater beach in the world, along with a large natural area that protects nesting shorebirds and wildlife habitat. Wasaga Beach was Canada’s first provincial park to get the “Blue Flag” designation for its environmentally conscious banks management. On the eastern part of Beach 3, between 22nd and 24th streets, you can find a day-use park with a dog-friendly beach. 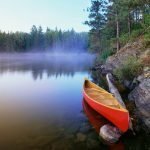 This provincial park, located in the Sudbury region, is one of the best for visitors with dogs. 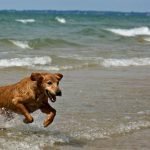 With 1.5 kilometers of shoreline, there is large private beach front at the pet recreation area where your dog can both swim and run with no leash. There also is room for picnicking and recreating while you keep an eye on your pet. What areas limit access for dogs? While it is good to know where you can have fun camping with your canine companion, it is also good to know which places aren’t as preferable for both you and your travel buddy. Four of the Algonquin Park campgrounds—including Achray, Canisbay, Mew Lake and Pog Lake—have designated areas where pets are not allowed. There are also limitations at the Balsam lake, Pinery, Awenda, and Voyageur campgrounds. You can find plenty of helpful resources that give more details for dog-related rules and regulations at Ontario’s provincial parks. Ultimately, though, you will find numerous exciting and exquisite destinations that are perfect for you to explore and enjoy along with your furry friend.